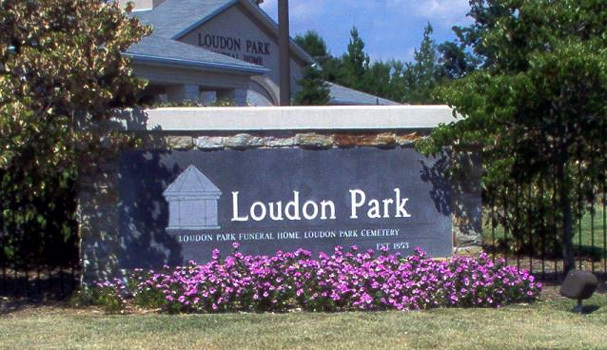 Known Ropers and extended family Buried Here. 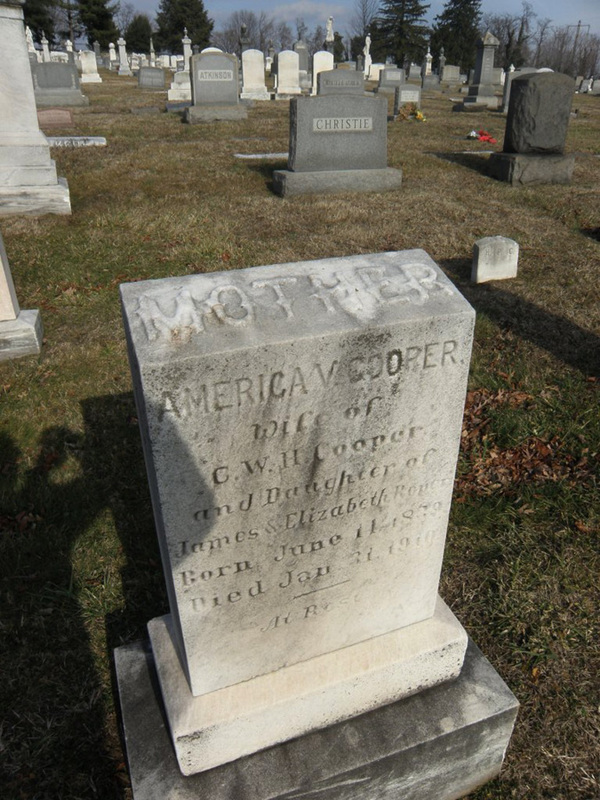 Cooper, Mary America/Amelia Virginia Roper - Born: June 14, 1839 in Jefferson County, Virginia (WV). Daughter of James and Elizabeth Laley Roper. Married first to John J. Vanmetre. They were wed in Jefferson County, Virginia on September 09, 1858. There were two issues of this union, Mary C. Vanmetre (B.1858) and Elizabeth J. Vanmetre (B. 1859). Second marriage was to Charles W.H. Cooper. 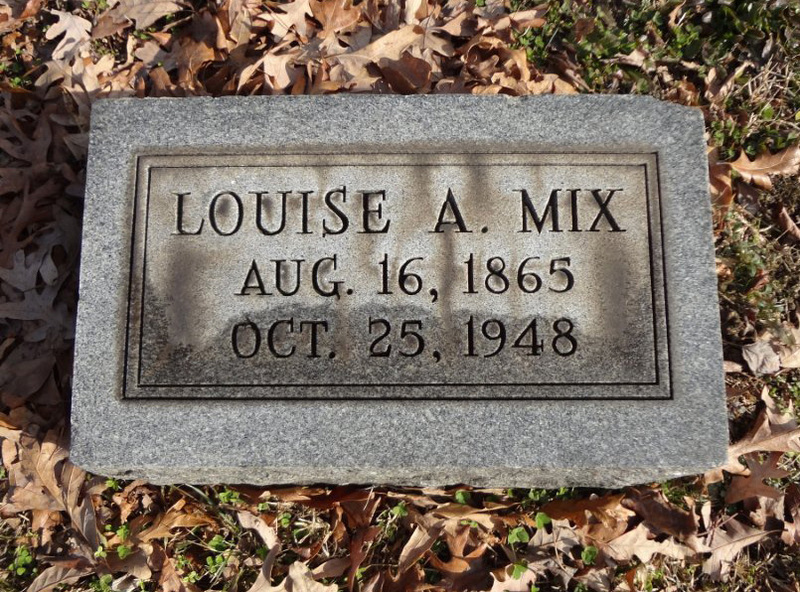 They were wed in Jefferson County on October 22, 1866. There were 8 issues to this union. 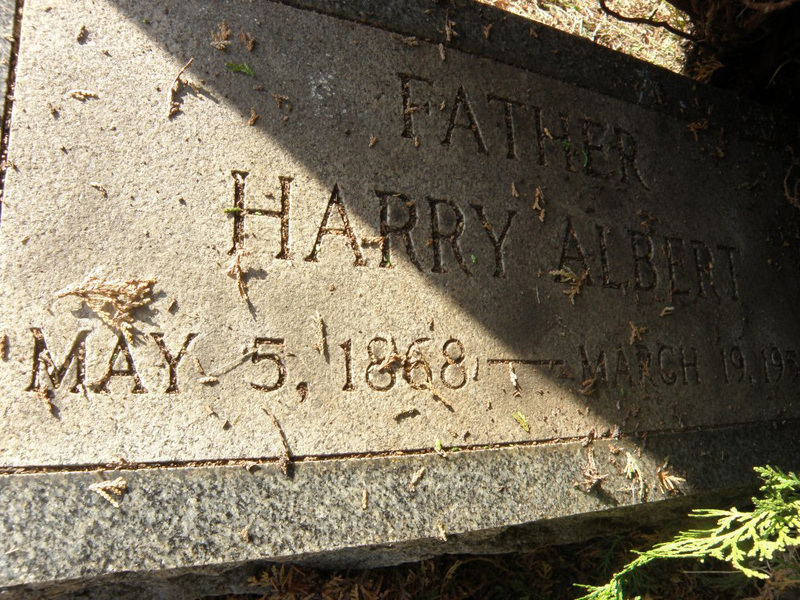 Schultz, Harry Albert - Born: May 5, 1868 in Jefferson County, West Virginia. Eldest son of Henry Francis and Ann Catherine Roper Schultz. 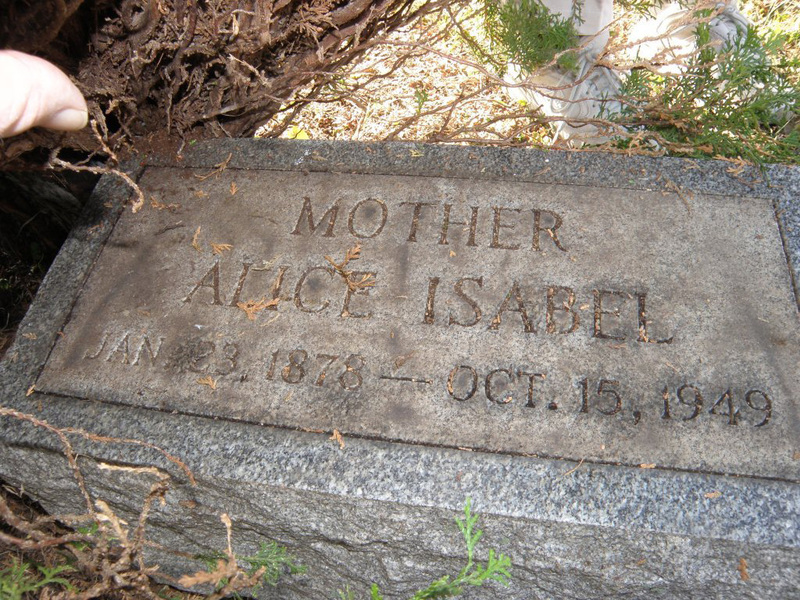 His wife Alice Isabel Rearden. 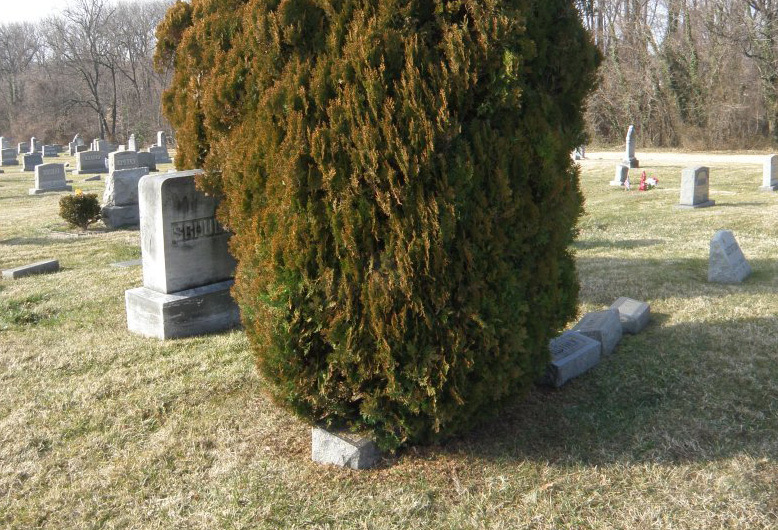 Harry A. Schultz died in Baltimore, Maryland on March 19, 1951. Denham, Ella R. Schultz - Born about October 1876. Youngest daughter of Henry Francis and Ann Catherine Roper Schultz. Ella's first husband was Charles Viands. 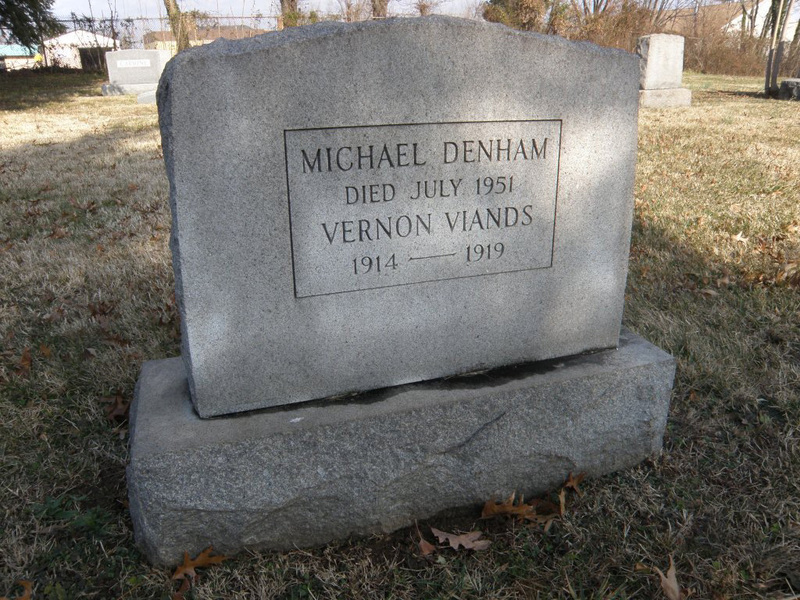 They married in Charles Town West Virginia on December 14, 1896. There were several children to this union. 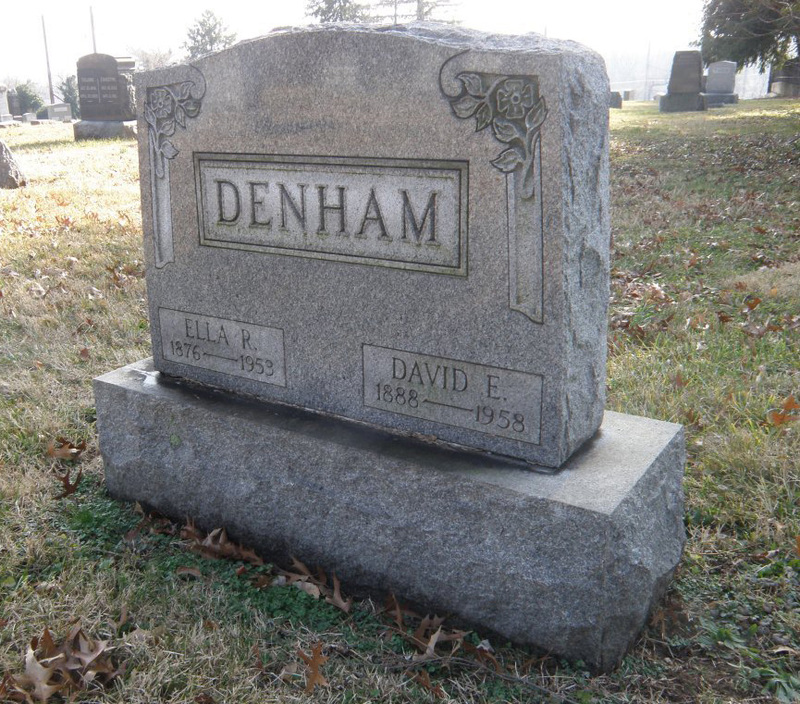 Ella's second husband was David E. Denham. Date of marriage unknown. Ella died in 1953.